Click image to watch on YouTube. 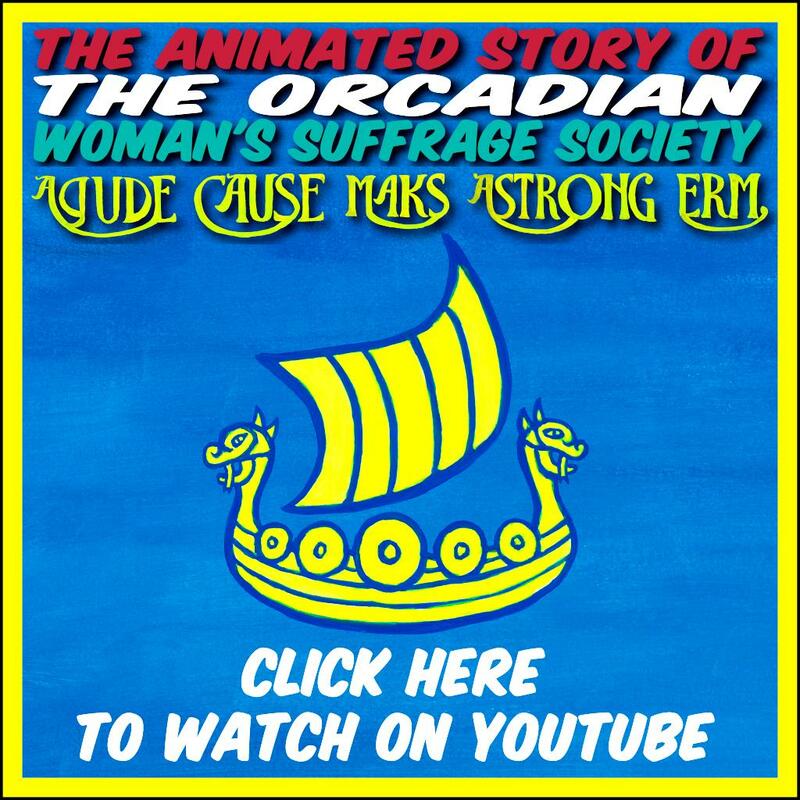 A Gude Cause Maks A Strong Erm, the animated story of the Orcadian Woman’s Suffrage Society, as told by The Orkney News is now available to watch online on YouTube. Campaigning for women to have the right to vote took place from the latter half of the 19th Century up to the start of the First World War. Orcadian suffragists were part of that activism. 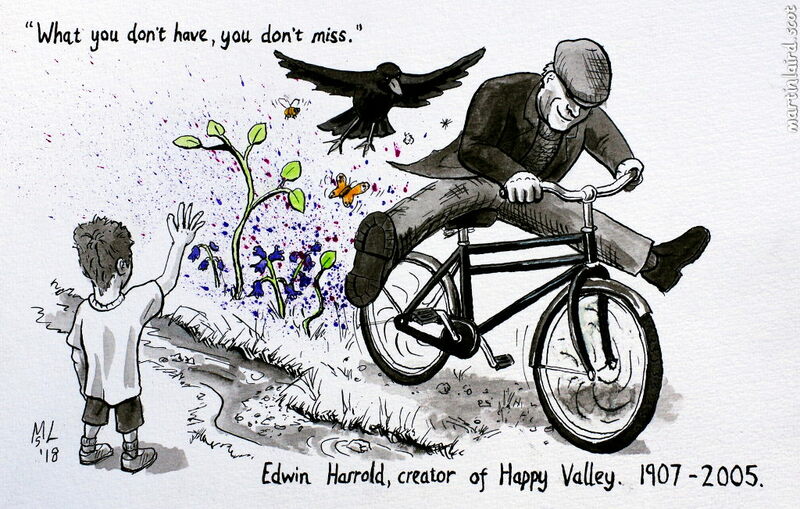 Researched and scripted by Fiona Grahame, the hand-painted animation by Martin Laird is stylised to make some reference to the world of 20th century art. The artist Stanley Cursiter was associated with the Orcadian Woman’s Suffrage Society, having designed its banner and married Phyllis Hourston, one of its members. 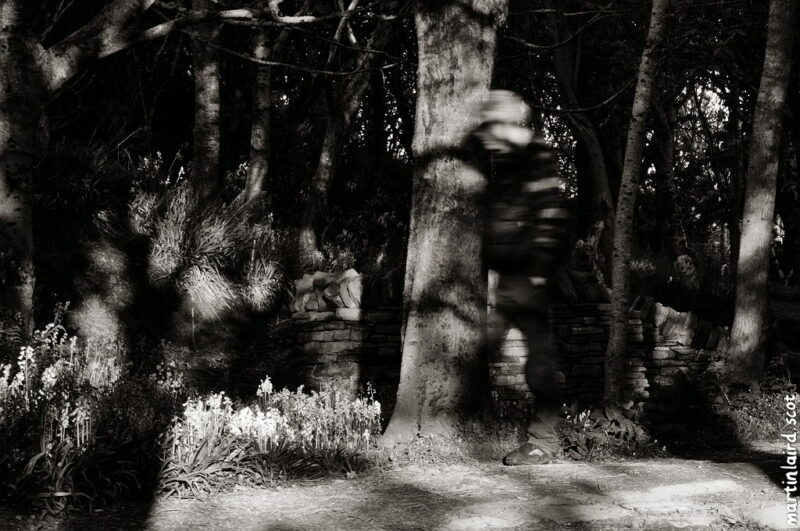 The design of characters and locations was derived from period photos. Thank you to the staff at the Phoenix Cinema at the Pickaquoy Centre, who made it possible for A Gude Cause Maks A Strong Erm to premiere on the big screen in Kirkwall. It was shown alongside a week of films celebrating women in cinema, to coincide with International Women’s Day on the 8th of March 2019.
International Women’s Day 2019 is on the 8th of March. To coincide with this the Phoenix Cinema at the Pickaquoy Centre in Kirkwall will be showing a week of films featuring female leads and directors. 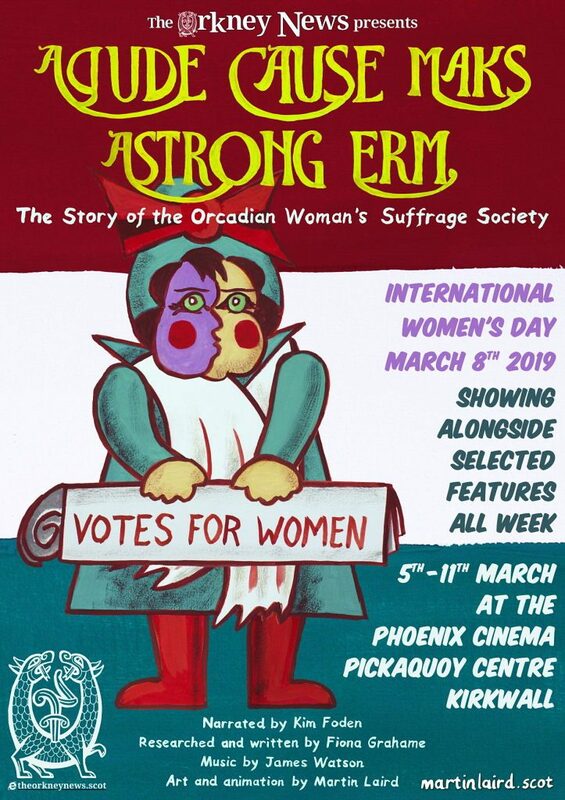 A Gude Cause Maks A Strong Erm, the animated story of the Orcadian Woman’s Suffrage Society as told by The Orkney News, will be shown before these selected films. It premieres alongside Can You Ever Forgive Me, which stars Melissa McCarthy and Richard E Grant, and was directed by Marielle Heller. Thank you to the staff at the Pickaquoy Centre who have made it possible to see the animation on the big screen. Thanks also to the Scottish Government Centenary Fund, without whom this project would not have happened. 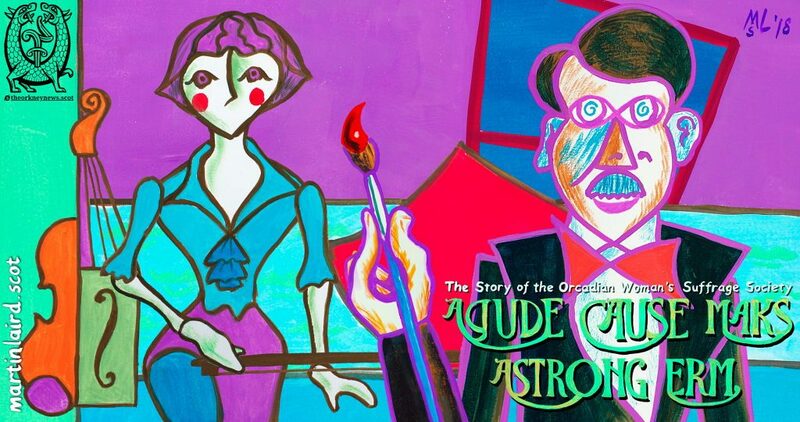 A Gude Cause Maks A Strong Erm, the animated story of the Orcadian Woman’s Suffrage Society, is now all but complete. It will be available soon. 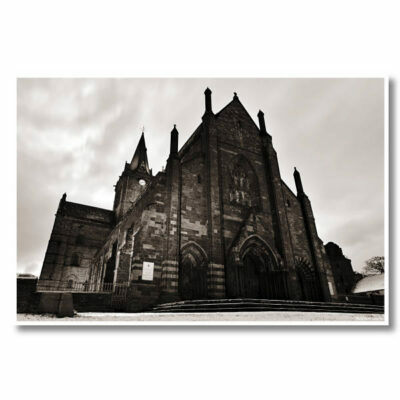 The story, which is largely forgotten and previously untold, was researched and written by Fiona Grahame of The Orkney News. Narration was provided by Kim Foden, with a moving musical score by James Watson. Campaigning for women to have the right to vote took place from the latter half of the 19th Century, up to the start of the First World War. Orcadian suffragists were part of that activism. The artist Stanley Cursiter was associated with the Orcadian Woman’s Suffrage Society. He designed their banner (of which sadly only a written description survives), and married Phyllis Hourston, a member of the society. 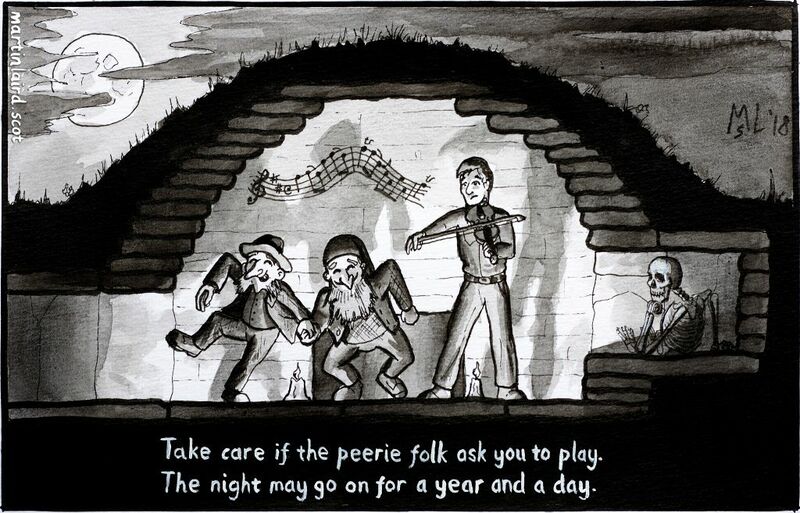 This artistic connection served as an inspiration for the animation. The intention was to make a moving painting. As such, all the art was hand painted in gouache on watercolour paper. It was then photographed, digitally collaged, and animated on a computer. This animation project has been a joy to work on. Thanks especially to The Scottish Government Centenary Fund, without whom it would not have been possible. The wreck of the ‘Crown of London’. Pen & ink, 2018. 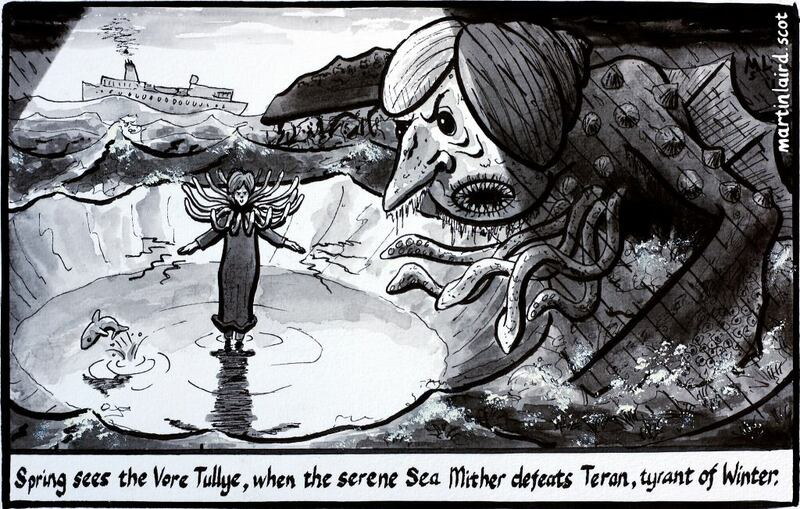 Cartoon created to accompany The Orkney News article in the June 2018 edition of iScot magazine, about the Orkney connection to the Scottish Covenanters. 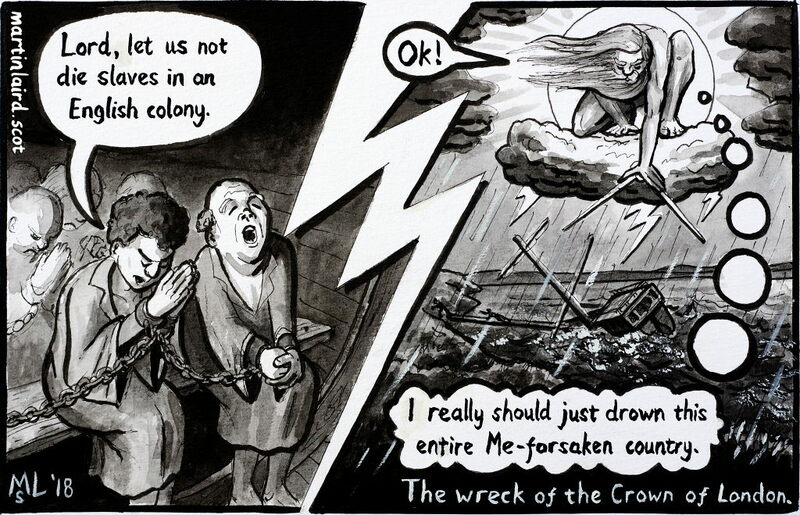 The drawing references the dark artistic vision of William Blake. The figure of Urizen represents an aspect of God in Blake’s personal mythology. 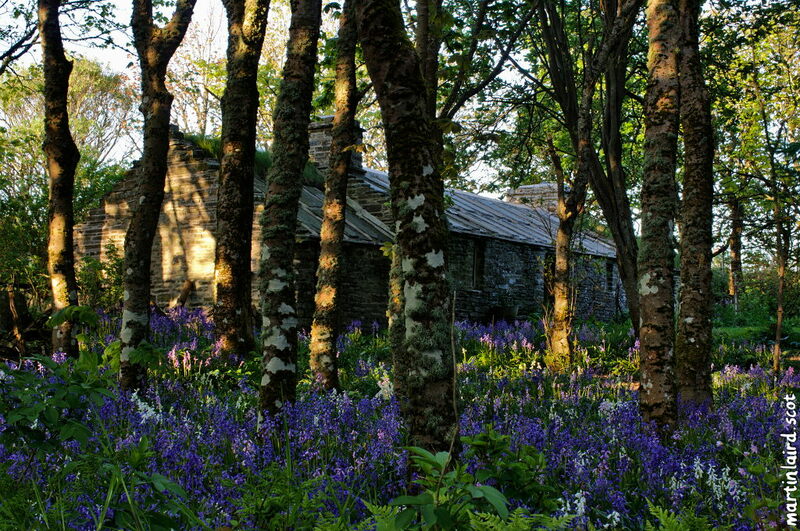 The Covenanters were a 17th Century Scottish Presbyterian Christian sect. They were evangelical and militaristic, effectively governing Scotland for a time during the War of the Three Kingdoms. They also fought in the English Civil war, where they were defeated by the New Model Army of Oliver Cromwell. 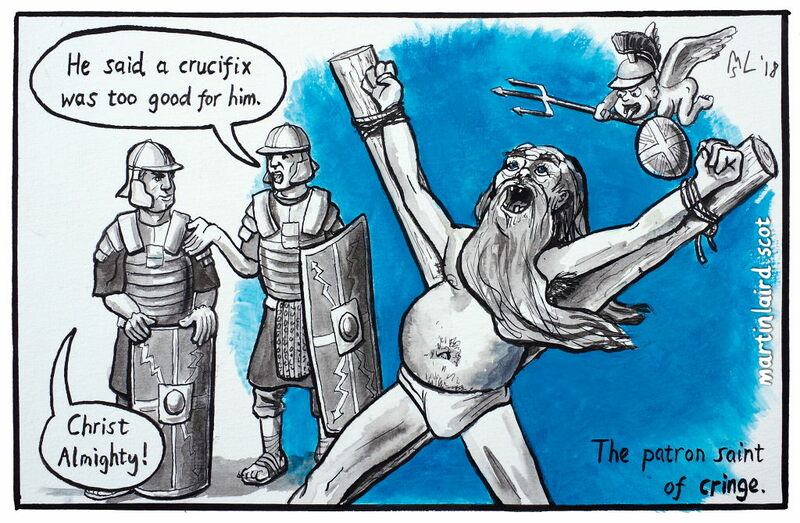 The Covenanters did not recognise the Divine Right of monarchs to lead the Church, only Jesus. This caused them to fall foul of a succession of Kings – Charles I, Charles II, and James VII, who all tried to suppress their religious and rebellious activities. During a period called The Killing Time, many Covenanters were executed or captured. 1200 of them were defeated at the Battle of Bothwell Brig, and 250 of these put aboard the Crown of London and sent into a life of slavery in the English colonies. They never made it. In 1679 the ship was wrecked in a storm off the coast of Deerness, in Orkney, at a headland called Scarvataing. As the people were slaves, they were treated as cargo. The captain would be recompensed for their loss if they died, but not if they escaped. Therefore the hatches were ordered closed even as the ship foundered. One crew member did use an axe to break free some prisoners, and thanks to his efforts 47 of them survived. 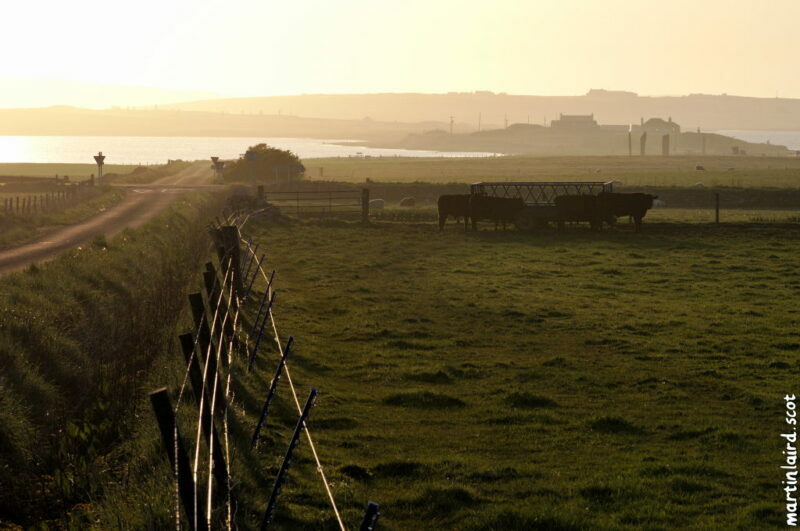 Most were recaptured, but some escaped and it is said their descendants still live in Orkney. The Covenanters memorial in Deerness, Orkney. The Covenanters memorial at the site of the Wreck of the Crown of London in Deerness, Orkney. The Covenanters memorial fountain near St Magnus Cathedral in Kirkwall, Orkney.